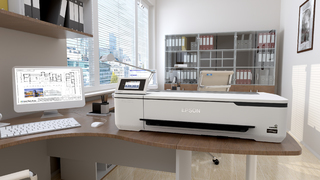 Epson announced this month two new high-speed, easy-to-use wide-format SureColor® T-Series plotters – the Epson SureColor T3170 24-inch desktop printer and the SureColor T5170 36-inch floor-standing printer. While these printers benefit professionals and workgroups across a range of industry segments including architecture, engineering, CAD, GIS, education, corporate, home and small office settings, the new wireless printers also feature an all-new clean and compact design coupled with the reliable printing performance inherent in Epson’s technical printer solutions. In May, Trimble announced version 4.1 of Trimble® Business Center office software designed for surveyors and geospatial professionals to simplify the creation of cadastral, GIS, infrastructure inspection and tunneling deliverables. Using new cloud-based data synchronization and workflow task management capabilities, Version 4.1 provides seamless integration with Trimble Access™ 2018 field software to improve field-to-office productivity.